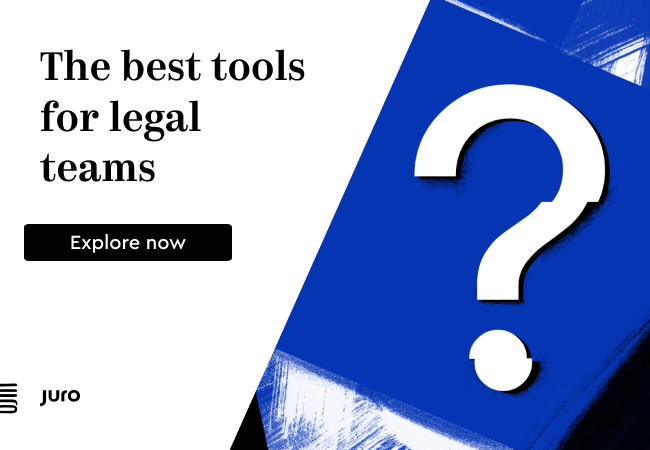 A survey of around 700 lawyers in the US and Europe has found that legal services businesses that generally are seen as ‘leading’ with legal tech adoption are the most profitable. Conversely, those firms that are ‘trailing’ when it comes to tech investment and adoption are the least likely to see an increase in profits. 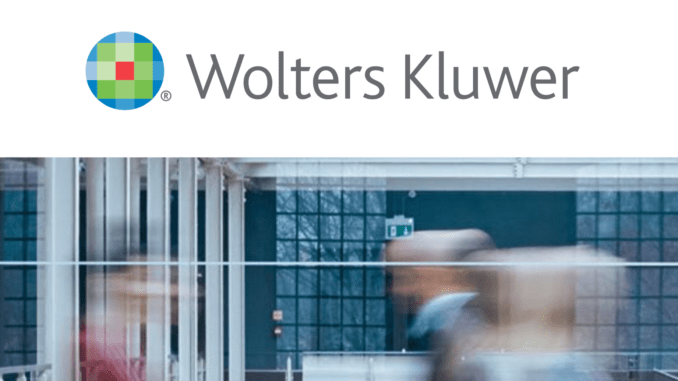 The data, gathered by Wolters Kluwer, is published in the 2019 Future Ready Lawyer Survey – which can be found here. 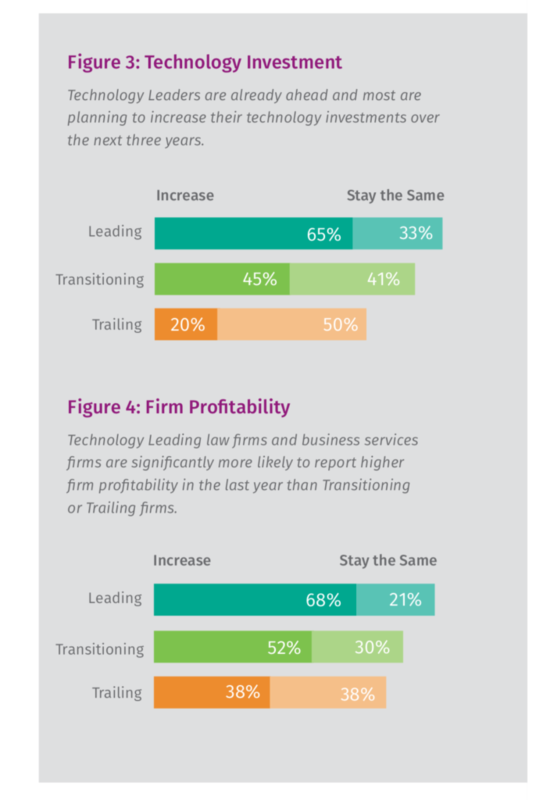 As can be seen in the table below, tech ‘leaders’ not only plan to spend more on legal tech in the future, they are also more likely to see increases in profits – which will please their owners and equity partners. The survey has a load of other data, much of which will be interesting to innovation teams, but this nugget really does seem to win the prize for the most powerful insight. If this is true – and of course there could be an alternative reason for this – then it’s a huge call to action to any firm that is not seriously investing in building innovation teams and other tech/service delivery change groups, along with the actual tech that makes all of this possible. Of course, there is one possible fly in the profit ointment. Is this a case that the most profitable firms will have more money than the others, and so have money ‘spare’ to invest in exploring new technology and its uses? I.e. is this the other way around? It’s a tricky one this. Innovation chicken or innovation egg, as it were…..? But, it would be nice to think that the data does in fact show the more you invest in tech and innovation whether a better DMS and billing system, an improved KM platform, or AI review and prediction tools, along with the people and right process to synch it altogether, that it all combines to help the firm to become more profitable. In short: more tech = more money. Now, that’s a nice formula to consider. Though, again, is it ‘more tech’, or is it better use of tech? Either way, it’s a win-win. If better use of tech/more investment in tech leads to more profits that means that the firm will – unless all that extra cash goes into PEP – mean that there is even more next year to invest in tech….and so on. In turn the clients will – it’s hoped – get a better and more efficient service, which will make them stick to certain law firms. And that too is good for the tech leading firms. In short, good use of legal tech and investment in it is seen here as a competitive advantage. 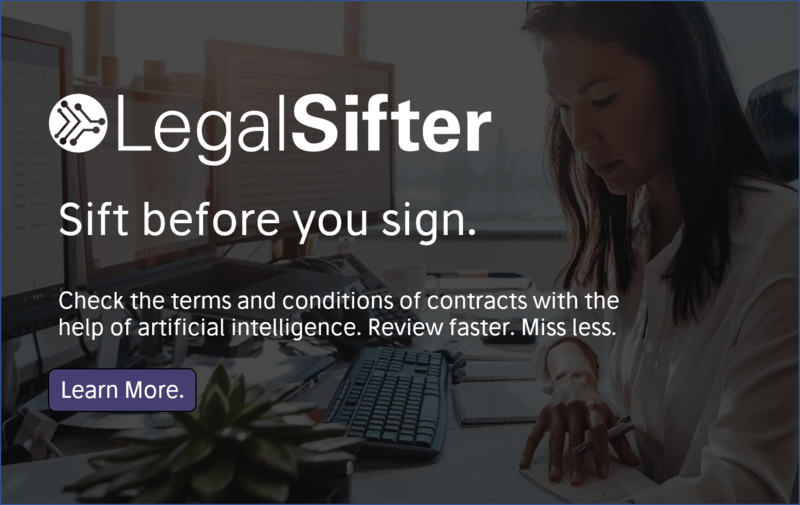 And that’s a key strategic argument for change – and certainly one that Artificial Lawyer has been making in relation to efficiency and insight gains from AI and automation tools. Tech = money. Nice. Wolters Kluwer data.